The merger between Fnac and Darty in 2016 has given rise to a new leader in omni-channel retailing. This move opens a new chapter in the Fnac/Darty story, offers fresh prospects for our employees and provides our customers with an enhanced range of products and services. Fnac Darty has over €7.4 billion in revenue, a workforce of nearly 26,000 and more than 720 stores in eleven countries. Our Group’s mission is to provide a powerful response to the increased competition from internet pure players in its markets, and to the trend to consolidation that has been transforming the retail sector for a number of years. Fnac and Darty are two exceptional retailers, with strong complementarities in terms of commercial offers, geographic coverage, expertise and know-how. Together within the Fnac Darty Group, they have a critical size and more room for maneuver to build the business of tomorrow. Implementing the logistical and commercial synergies between the two chains, estimated at €130 million, has progressed very quickly and will be completed by the end of 2018. With the strengths of the two retailers and respect for their individual identities, the Group is in a position to establish itself permanently in the European retail scene. 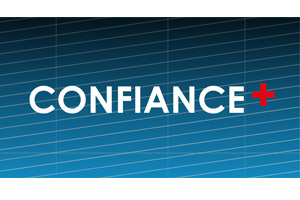 Confiance+: an ambitious strategy to sustain the Group's leadership over the long term. 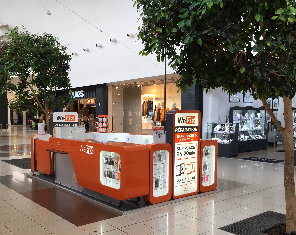 In a retail sector undergoing major changes, Fnac Darty has been moving towards an omni-channel model for more than five years to offer its customers a unique shopping experience. By anticipating – since 2011 for Fnac, and since 2013 for Darty – a new way of consumption in a world where both sales channels (stores and the web) communicate and interact, both retailers have invested heavily to provide their customers with a unique proposition and a completely flexible purchasing process. The Group presented its new Confiance+ strategic plan in autumn 2017. This first Fnac Darty plan builds on the strengths of the two retailers and the good progress made in integrating them. In addition to the €130 million synergies plan for the end of 2018, the Group’s ambition is to create the benchmark for European omni-channel platforms. Confiance+ is ushering Fnac Darty into a new era, the era of service platforms. The Group places customers at the center of all its strategic decisions so as to offer them a unique omni-channel shopping experience which is increasingly rich, fluid, personalized and innovative. The deployment of the Fnac Darty platform is based on 2 pillars – an enriched Fnac Darty ecosystem and an open omni-channel platform. Fnac Darty aims to offer its customers the best omni-channel experience in Europe, thanks to an open service platform and an enriched customer ecosystem. First, the development of a powerful open omni-channel platform. It is based, on the one hand, on a network of multi-format digitized stores that are optimized for our customers. With more than 720 stores, our Group has a dense network, meaning that more than 90% of the French population have a Fnac or Darty store within fifteen minutes of their home. In parallel with the development of the store network, the store experience is enriched with new services, thanks to innovative and digitized solutions in order to make the shopping experience ever easier and more fluid. On the other hand, operational efficiency is at the heart of the omni-channel platform. Fnac Darty has considerable strengths resulting from the complementarity between the two retailers which are perfectly integrated in order to provide the benefits of a complete and efficient range of services in all the regions where we operate. The Group offers unique in-store delivery and collection services, including innovative services such as delivery within two hours (2H Chrono Delivery) or click and collect within an hour (Click&Collect 1H). Lastly, the omni-channel platform is based on Fnac Darty’s undisputed leadership position in e-commerce. With nearly 20 million unique visitors on average each month on its French websites, Fnac Darty now offers its customers a website in each country where it operates. The e-commerce offer is also enriched by the growth in marketplaces which enable the Group to position itself as a platform for intermediation between consumers and sellers. Our strategic offensive is also based on an enriched customer ecosystem. Fnac Darty is now able to offer more than 36 million customers a balanced product offering, built around categories with complementary growth and margin profiles, and with constant innovation. The Group is also committed to diversifying its offering with the development of segments related to the Group’s offering. Since 2011, the Group has introduced more than a dozen new activities in its two retailers. Fnac Darty is therefore an essential launch platform for its partners, thus establishing exclusive partnerships with some of its suppliers. In parallel with its product offering, Fnac Darty has enriched its ecosystem with the widest range of services on the market, to develop a real differentiating asset which is built around the historical expertise of both retailers. These services thus support customers throughout their entire purchasing process, including unparalleled home and remote after-sales service in the world of specialized distribution. In the future, the Group intends to continue expanding its service offering in order to seize new market opportunities and adapt to the expectations of customers who want greater speed, simplicity and personalization. Finally, our customer ecosystem is based on innovative loyalty programs, such as Fnac+, launched in 2016 and which attracted more than one million French customers, and Darty+, launched in 2017. In total, Fnac Darty has more than 7 million members who constitute a separate asset, allowing customers to benefit from both retailers’ unique know-how in terms of delivery and after-sales service, as well as content. As part of this increased omni-channel journey, the prime asset of our two retailers remains the unparalleled expertise of our salespeople and advisers at the service of our customers, from upstream to downstream of the purchase. Fnac Darty’s deliberately innovative and offensive strategy within the framework of Confiance+ gives the Group strong momentum that will lead to sustainable growth.